If you’re going to market to Millennials, then one thing you’ll have to learn is to provide valuable content that isn’t completely pushing your own agenda. As a mortgage broker or banker, one of the ways you can do that is through giving them great content on social media. To help you out, I’m give you a first-time buyer’s guide. Take a look at point #3 — where I recommend that the prospective buyer talk to multiple mortgage brokers. You, as a broker, might immediately feel the need to remove suggestions like this (why would I send them to my competition?). However, this is exactly what I’m talking about when marketing to Millennials — you have to be authentic and honest if you’re going to build trust. In reality, everyone is shopping for the best rate. You may or may not have the best rate, but your prospective client is going to look at your competition no matter what. Suggesting that they do so costs you nothing (since they’re going to do it), and puts you in the enviable position of not looking craven (unlike much of your competition). Feel free to take this content, rephrase it in your own language, and or subtract as you see fit, and start sharing it on your social media. Also, use it as a kernel of an idea — start working from here and creating your own content. For many people, 2017 will be the year when they decide to buy their first home. And for that they’re very likely to look into mortgages. If you’re looking to start climbing the property ladder, but feel overwhelmed by the enormous amount of information, keep reading. This article will help you find the right way to getting your information straight for the big move. Buying a home is usually not the kind of decision that comes out of the blue. It’s a result of where you are in your life, career, and relationship,;whether you feel ready to nest; and whether you think you’re able to keep up with such a large loan in the long run. Owning your own home brings many advantages, such as having a place of your own to call home, getting a significant boost to your credit score, and a big investment potential in the form of a property that may increase in value. On the other hand there are significant risks as well, such as bad math causing you to run out of money at some point, getting together enough savings for a down payment or your house actually losing its value rather than increasing it, due to the market’s conditions. Never go for a mortgage unless you’re certain you can deal with the possible bad outcomes. You can start by running a small credit check on yourself first, to see what lenders will see when they run the check on you. You can also request a free credit check report from one of the government agencies. It’s the law that “you are entitled to a free credit report from each of the three credit reporting agencies (Equifax, Experian, and TransUnion) once every 12 months. You can request all three reports at once, or space them out throughout the year.” Once you know your credit, you’ll have a better idea of whether you’re able to get approved for a mortgage loan, and under what conditions and circumstances. If you’ve learned to keep up good credit habits in the past (paying off your debts and bills on time), it’ll be a great advantage for your score rating. But don’t let your score be a show-stopper. Many mortgage brokers can work with people that have poor credit. However, you need to know that you’ll be getting much worse rates and conditions. You can then make a sensible call about whether to spend the time to improve your credit rating, or to go for a mortgage now. 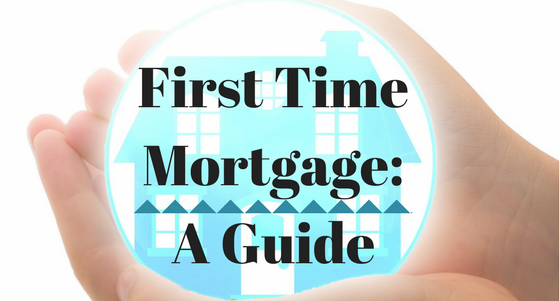 Finding the right direction when looking for what’s the most suitable mortgage plan for you gets frustratingly overwhelming at times, especially if it’s your first time dealing with a bigger loan. So before you make a decision, consult a mortgage broker, or even better, a bunch of them, to get a realistic glimpse of all your possible options from various points of view. You’ll get an idea about your credit status, and you’ll also find out the range you can afford. Getting (approved for) a mortgage loan is one of the most demanding processes out there, document-wise. You’ll need papers from your tax returns a few years back, all the bank statements you’ve received in recent months, brokerage statements, all information about your current debts and documents that verify the source of any money you plan to use for the downpayment and forth. The history and stability of your current employment and income will also be looked at from up close. It sounds scary, but don’t worry, it’s not impossible. You can easily request a copy or a transcript via the irs.gov and your bank’s website. Getting a mortgage loan is, ironically, going to cost you a lot of money. You’ll need to pay the down payment (usually about 5% of the total property value at a minimum, and ideally 20%), the closing costs, and you should also be prepared for more than a year’s worth of taxes and insurance payments. So have a careful look to all your savings to date. Are they disposable? Do you have enough money to cover all the expenses connected to a mortgage? Do you still have a few extra bucks on the side, in case you lose your job or something goes wrong in the house? How much of your income will go into paying off the debt, and how much will you have left? As you can see, for the whole process to go smoothly, a great deal of planning is necessary. But once you’ve got that under your belt, with a skilled mortgage broker by your side, the chances of successfully getting approved for a mortgage loan are great. Everything has its first time, so stop worrying, roll your sleeves up, and let’s get that dream house of yours.